January 23, 2014 Categories CakesButter Cake, Louis Butter Cake, StLeave a Comment on Butter Cake, anyone? It’s been very cold and I needed something to lift the spirits of my little ones and myself so, what better than a delicious treat. I had one of these a Fresh Market a few months ago and I did have the recipe but could not find it. I had to make it. I found one that really hit home but I did not have all the ingredients or have the time so I changed a few things and it worked. 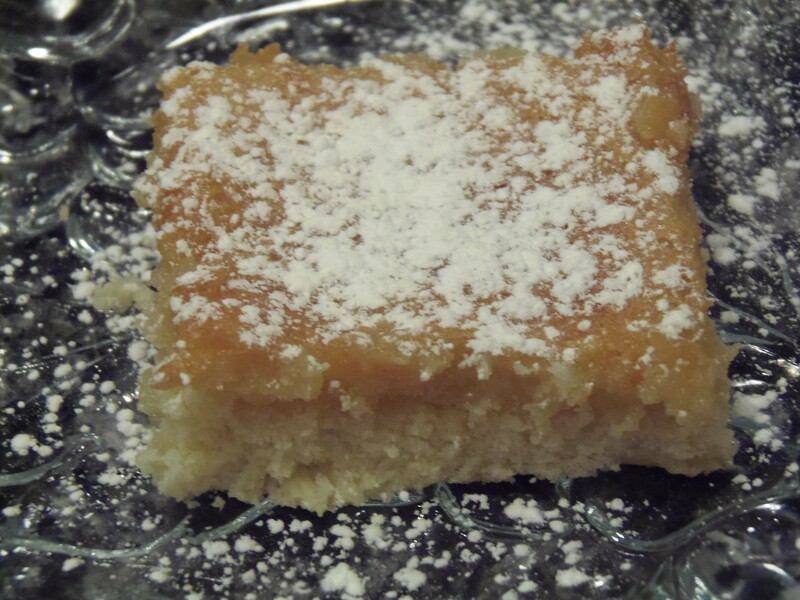 above is the original blog recipe that I used but substituted cake flour for 3/4 cup all purpose flour with 1 tbsp. corn starch for the cake flour and the 2 hour rising time was no more than 1/2 hour for me. They came out great. You have to try these, really don’t try the St. Louis Gooey Butter Cake Recipe with the cake mix and cream cheese, these are way better.